When printed it will be in the form of a booklet. Please note that the After School Club is closed on the last day of each term. The breakfast and after school clubs provide activities and healthy meals for pupils at Rockmount School. To find out more, or book a place for your child contact extendedschools@rockmount.croydon.sch.uk or telephone (020) 8683 8451. 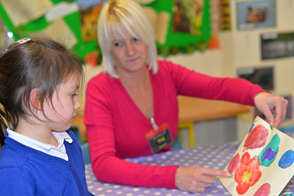 Staff at both clubs are fully qualified and also employed in other roles at the school, so they are familiar to the children and very much part of the school community. This means class teachers can make breakfast/afterschool club staff aware of any relevant issues. Children take part in games, arts and crafts activities and play with their friends. A separate area is available for the younger children. If you require a place at either the breakfast or after school club, we advise you to put in an application as soon as possible as both clubs are very popular. Your child's name can then be placed on the waiting list. 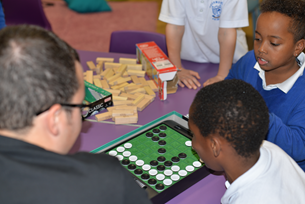 Contact extendedschools@rockmount.croydon.sch.uk or telephone (020) 8683 8451 for any more information.